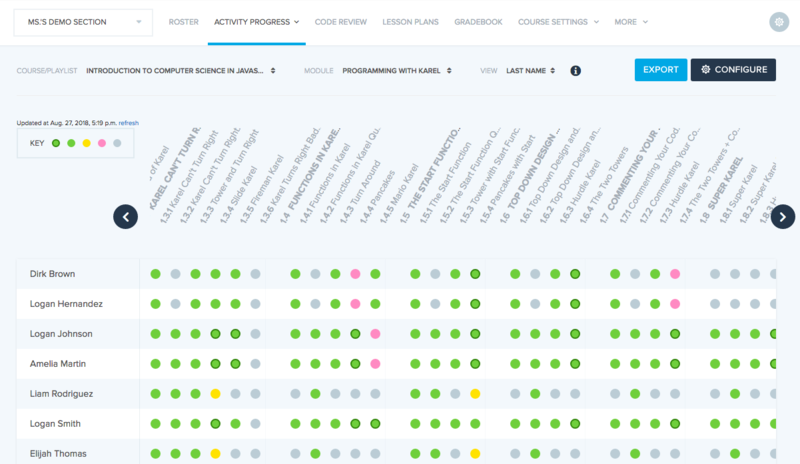 How do I track student progress? 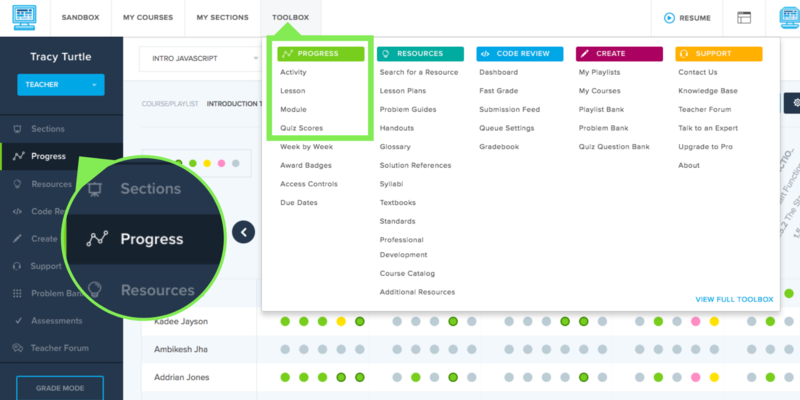 Within your class you have the ability to view student progress for activity, lessons, modules, quiz scores, and weekly progress. This will give you a quick snapshot of how students are doing in the class and prompt some questions you may want to ask (ie What students need more help? Do we need to spend more time on a concept?). There are two ways to access the Progress Tracking tools. Select Progress along the side navigation bar. Go to the Toolbox at top of any page. You should then go to the Progress section and select which type you'd like to view. **Progress Tracking is a CodeHS Pro feature and is not available on the free version.